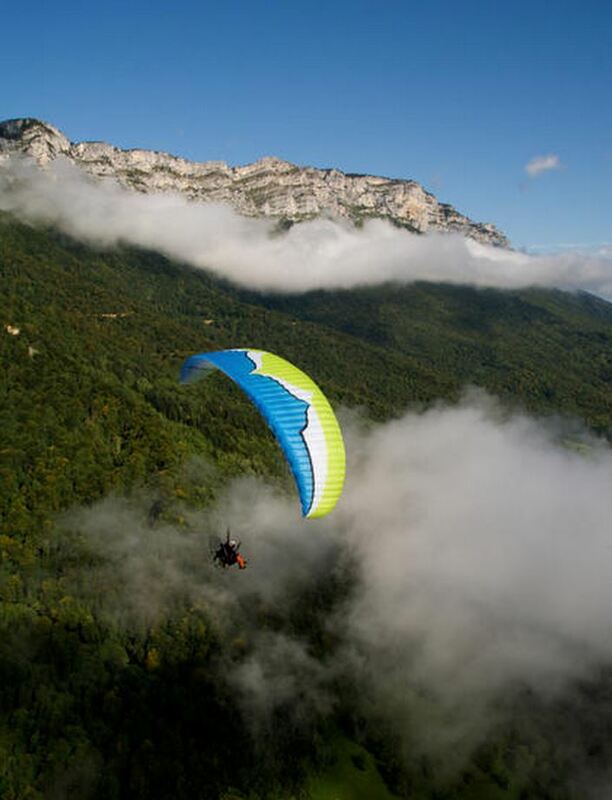 OZONE >> Roadster 2 from Ozone Paragliders on Vimeo. The aspect ratio remains a very reasonable 5.1. This AR is a great compromise to keep a compact span for better take-off characteristics and ease of use and safety in general. We have added 3 cells in order to improve sail cohesion, precision through the brakes, and inflation characteristics. 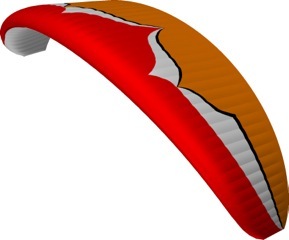 The Ozone Roadster 2 replaces the Ozone Roadster, our very first dedicated paramotor wing. Since then we have gained a lot of experience developing a full range of paramotor specific models covering the different disciplines, learning at every step. We have also expanded our development team to include some of the world’s finest paramotor pilots. All of this knowledge and experience has been put into completely redesigning the Roadster concept to produce a modern wing that features an advanced Shark Nose reflex profile and our latest design technologies. 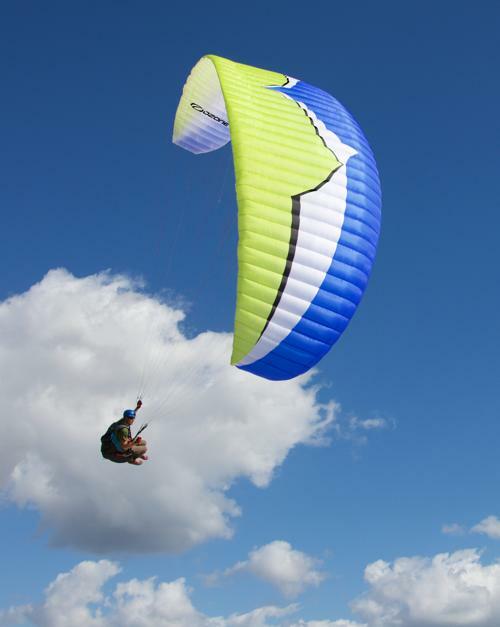 The Ozone Roadster 2 is a fully reflexed paramotor glider. First and foremost it is a fun, safe wing that is forgiving to fly. It is a dependable platform that is ideal for everyday flying and a broad range of pilots, from experienced to beginners. With lower airtime pilots in mind, special attention has been made to the launching characteristics and general ease of use, however due to the high levels of efficiency, high top speed and Ozone’s trademark handling, it is also ideal for intermediate, even experienced pilots who enjoy low-level buzzing and long XC adventures. The Roadster 2 is for any pilot who wants to progress safely and push their boundaries with the reassurance of an EN B certified wing. tuned specifically for powered flight. The Shark nose profile maintains a constant level of lift and internal pressure over a wide range of angles of attack. 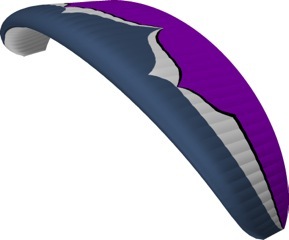 This profile increases levels of stability in accelerated flight, meaning that it is very collapse resistant - even in turbulent air – and increases levels of forgiveness due to its acceptance of deep brake inputs before the stall point. 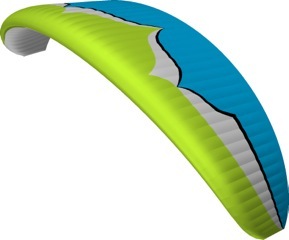 The wing includes a host of other technical details such as mini ribs for efficiency; a refined sail tension to absorb turbulence and filter the feedback for a more comfortable ride; efficient and light plastic nose reinforcements and a line plan optimised to balance low drag efficiency and long term durability. The risers feature long range trimmers and a long range accelerator system for high cruise speeds and a high top speed. The accelerator and trimmers integrate seamlessly - using the speed system has exactly the same effect as releasing the trimmers. 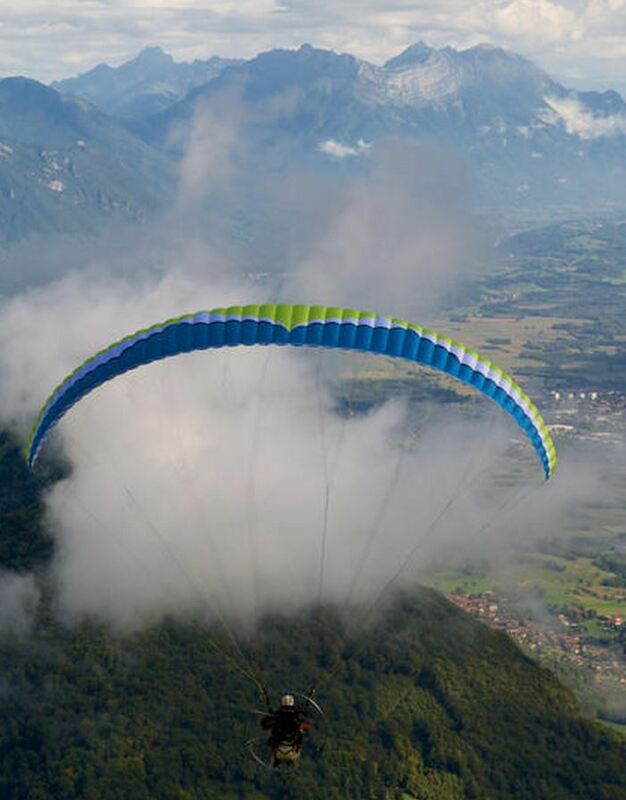 Unlike some other paramotor wings, it is possible and safe to fly with the trimmers in the fully slow (neutral) position whilst using the full range of the accelerator system. This is an important safety feature - if there is a departure from accelerated flight, the recovery characteristics will be better with the trims in the slow, certified position. The risers also feature a tip steering system (TST) for accurate, agile handling during accelerated flight and adjustable brake handle attachment points to suite different motor and trike units.Due to its exceptional inflation behaviour it is very easy to launch. 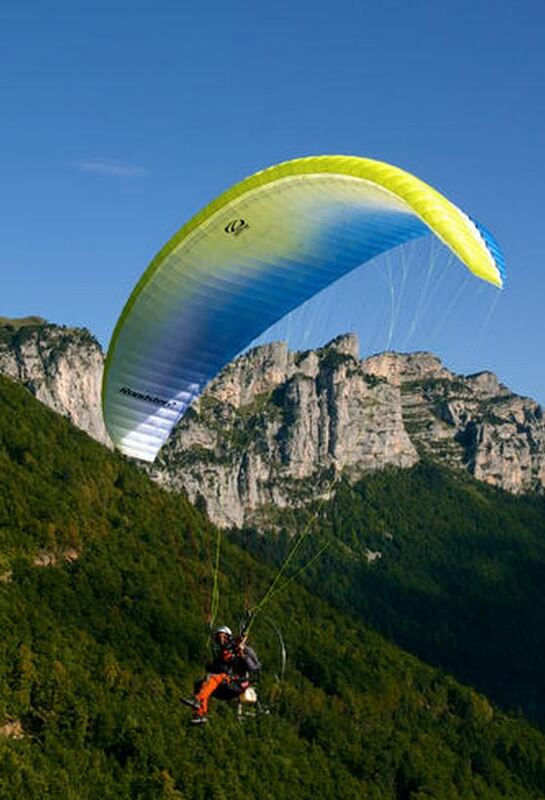 The Roadster 2 excels in nil wind conditions; the inflation is smooth and constant all the way to the zenith, whilst in stronger winds it is very progressive without the tendency to hang back or over-shoot. With the trimmers set to the slow position the take off speed is relatively low so it can launch and land within a short space. Handling has been tuned to be intuitive, predictable and forgiving but at the same time very precise and responsive. * pending certification. The Roadster 2 is EN B certified at trim speed only. 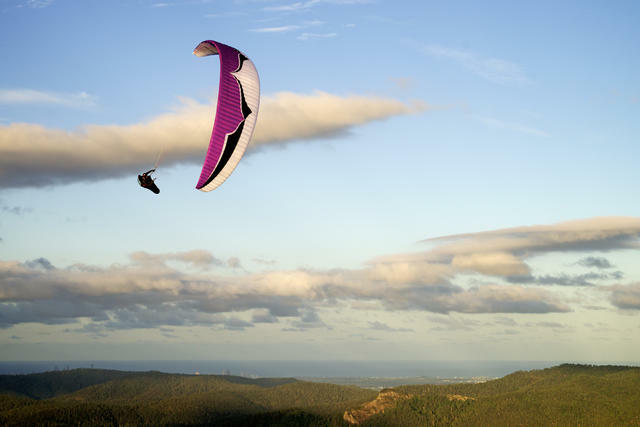 Whether you are a beginner learning the sport, a weekend pilot progressing to bigger and better things or an experienced pilot who enjoys long XC flights, if you are looking for maximum safety without compromising performance, the Ozone Roadster 2 could be the ideal wing for you. It is a wing you will feel comfortable with, immediately. We are very happy with the final result and hope that you find the Ozone Roadster 2 to be as special as we do.